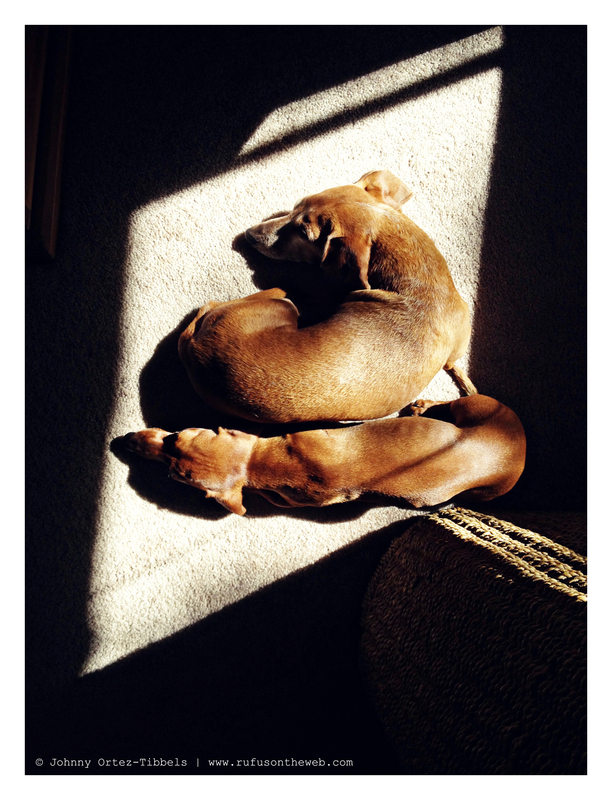 I love it when I catch my dachshunds sunbathing inside. They’re notorious for chasing patches of sun peaking in from the windows and doors. As many dachshund humans know, they love the sun, which is great because Daylight Savings Time returns this weekend – yippee! Can’t wait for longer days and shorter nights. How about you and your dachshund(s)!? 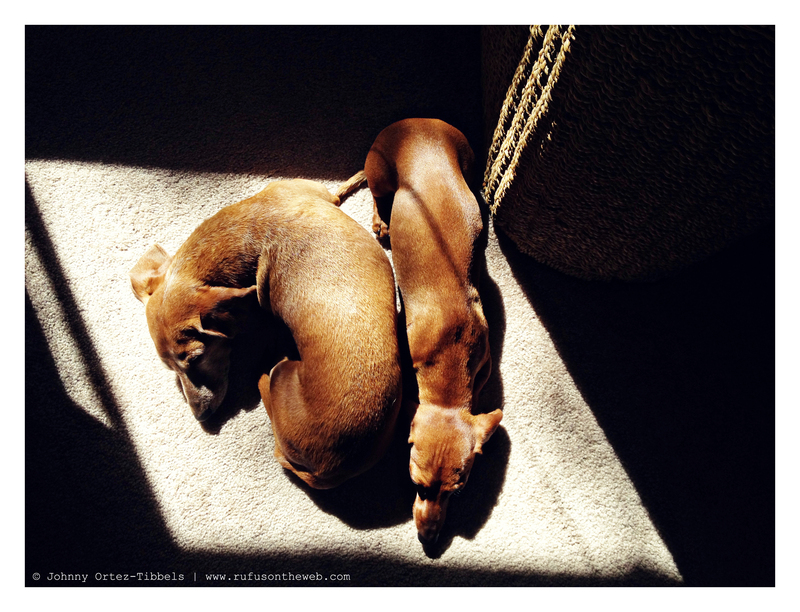 This entry was posted in Lily, Rufus and tagged #dachshund, #dachshund puppy, #red dachshund, #smooth dachshund, #sunbathing #DaylightSavingsTime, longhairdachshund. Bookmark the permalink. my doxies love to lay in the sun spots!! in fact, we finally had a few rare days of sun up here in Seattle last week ( where it was acutely warm enough to be outside) & they went right to the sun spot in the yard & laid down to sunbathe. I know they were probably thinking, where has this sun been??? They look like they are enjoying the sun. My little dog loves laying in the sun to. With a total of 110″ of snow so far and a north facing apt, my doxie is suffering from S.A.D. Today we had some sunlight outside and fairly warm weather. My doxie was so excited she was practically dancing.